In your profession as a butcher, your day-to-day activities mean it's likely you'll encounter a number of risk factors that could compromise your business's financial stability. A key part of running a small business is ensuring that it’s protected against such risks. While this typically involves taking certain safety precautions in your everyday practices, you may also want to consider taking out small business insurance for an added layer of protection. If you have your own premises or shop where you sell meat, it’s likely you’ve considered having it insured. This form of insurance covers you in case of damage to your shop or premises by natural disasters, such as storm, flood or fire. It is also designed to cover loss that may occur due to intentional damage or malicious acts. Imagine a busy day in your shop. The freezer breaks down and the meat stock gets ruined. This may also result in water spilling into the work area, damaging electrical fittings and fixtures. Contents and insurance of stock could cover the cost of repairing your freezers and replacing ruined stock, minimising the financial impact of the event. For a more comprehensive stock insurance definition, click the link. It’s highly likely that you depend on a number of specialist tools and equipment to carry out your work. From knives, saws and blades, to motorised machinery and equipment – the loss, damage or theft of these valuable items could significantly hinder your ability to operate as normal. You can take out tools and equipment cover to protect against these threats, minimising the impact on your business should an unexpected event occur. It is a legal requirement to have employers’ liability insurance in place if you hire employees to assist in your business. Suppose an employee injures themselves while cutting meat, they may demand action against the business and claim that safety precautions were not in place. Having a wide range of potentially dangerous tools and equipment is a risk every butchers shop faces, which means that employers' liability insurance could be a vital form of cover for your business. It could help to cover legal expenses in such instances and help pay compensation costs that may result. For more info, visit our what is employers liability insurance page. Movement of stock may be a routine task for you as a butcher. While being transported, your stock is vulnerable to damage and theft. Insuring your stock can help your business avoid the negative financial effects of such loss. The clause around this insurance is that the vehicle being used when the loss occurred should be owned by you or your retail business. You may experience instances where a consumer is unhappy with your product and claims to have fallen ill as a result of consuming it. They may demand compensation or take legal action. Products liability insurance for butchers can provide a safeguard in such circumstances - and in the case of a lawsuit, this policy may cover the legal expenses you incur. For a more comprehensive look at product liability insurance, visit our 'what is product liability insurance' page. As a butcher, public liability insurance could be extremely important, with hazardous items being integral to your work. This form of insurance is intended to cover resulting costs if a customer claims they’ve suffered an injury – or their property has been damaged – as a result of your business’s activities. For instance, if a customer slips on a wet floor in your butchers shop and you haven’t displayed appropriate warnings to alert people to the risk, you could be liable for any injury they suffer. It's also important to consider any unique risks that your business poses to your customers. This may increase how much your public liability insurance costs, but the higher level of cover could prove invaluable in the long run. For more information visit our what is public liability insurance page. In all, the bottom line is that insurance can form an integral part of protecting your business against the threats that you face daily. Your insurance will be tailored to your business’s specific needs, meaning that it’s likely to differ slightly to that of a similar business. For instance, your butchers may use freezers to store any number of food products, and so you may want to consider specifically highlighting frozen goods under your stock insurance. Another butchers, on the other hand, may not have any frozen stock at all, and so would not need to consider purchasing this specific type of cover. There are plenty of other factors that may distinguish your business from another. 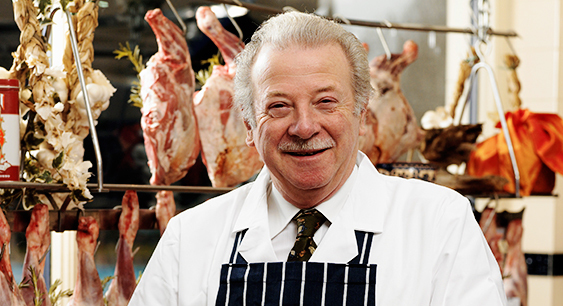 Your butchers may be a family run business, meaning that your only employees are immediate family members. In this situation, there’s a chance that you may not need to take out employers’ liability insurance – even though it is usually a mandatory form of cover for all businesses. This is why it's important to thoroughly compare all butchers insurance quotes you're offered to strike a balance between cost and cover. It’s important that you take the time to talk to your insurance provider or broker about your business and its insurance needs, making sure that you’re not accidentally leaving your business exposed. Unfortunately, it may be the case that you don’t realise your business is under-insured until you find yourself in a vulnerable situation. In the same way, you should make sure that you properly understand the wording and purpose of each element of your business insurance so that you are aware of the exact extent of your cover - as well as the limitations.